Back in early 2014 we started planning the launch of Wareable – our response to the explosion of the wearable tech market. Google Glass was not only the poster-child for the entire wearable tech industry, it was the wearable tech industry. When talking to people outside the tech inner circle, few had heard of Jawbone, Withings or even Fitbit. When they asked what “wearable tech” was, Google Glass would be the only example they’d recognise. Essential reading: What's wrong with Google Glass? Fast-forward to our launch in August, and Google Glass was still an object of fascination. Visitors flocked to our Glass content and studying Google’s plans for the platform seemed integral to how wearable tech would progress – but just five months later, Google Glass is dead, and while future versions have been promised, that seems a long way off. It’s not just the attitude of Wareable and those of our readers that have changed. Recent data showed that the developer community has largely abandoned Google Glass, in the wake of poor consumer uptake, and those that remain are pursuing limited enterprise projects. There’s no doubt that the heat of excitement that was fuelling Google Glass cooled significantly, and but it’s the speed of its decline which was the most surprising. While the forward march of the wearable industry, the entry of Apple and the buzz surrounding VR technology from the likes of Oculus, Sony and Samsung should helped Google accelerate Glass, it seemed to have the opposite effect: interest in Glass was at an all time low, while wearables in general had never been healthier. Perhaps the social stigmas of using Glass meant that it would always be a non-starter, but having spent time with the smart specs, the answer is clear: Google Glass was unusable. The first is that it is an amazing glimpse into the future of technology and the way we augment connected data and the real world. 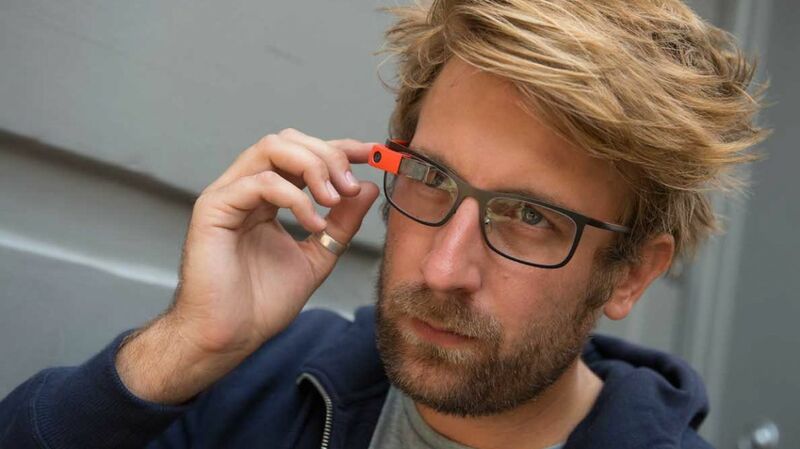 However, the second is that you will never want to wear Google Glass again. Unlike the current successful products of the wearable market, Glass was intrusive, demanding and hard to use. Glass made wearable technology the burgeoning success story it is today, yet it epitomised every failure, every misgiving and wrong step. It was a textbook example of how not to create a wearable in 2014. Whether Google drops the project or managed to make Glass 2.0, we’ll still look back in 20 year’s time and point to Glass as the place where it all began.